Hello fellow stampers! 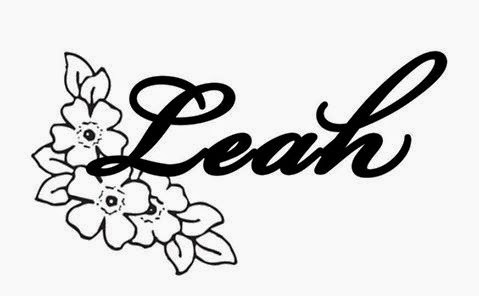 Leah here today. Have you started your Christmas crafting yet? I've been getting a fair amount done. I like to put special tags on my kids presents so I made these. I started by die cutting a scalloped circle and then stamping the Scalloped Winter Frame (H217) on it and coloring it with Copics. 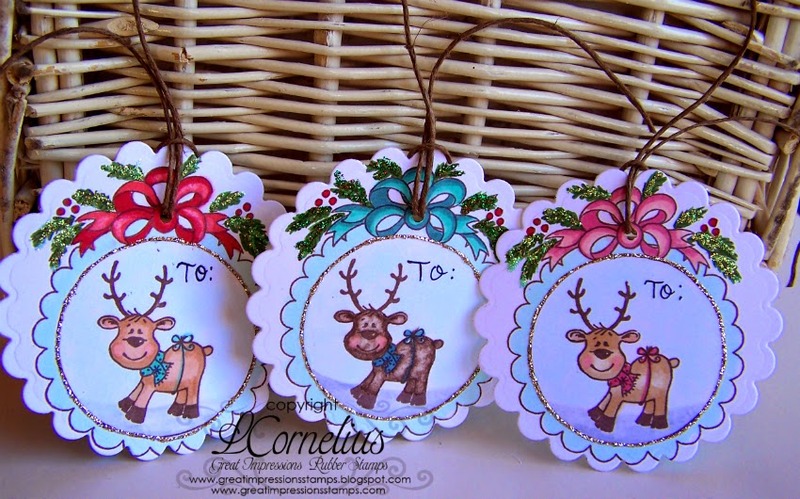 Then I took the super cute Snowflake Reindeer (F593) and left off the snowflakes stamping just the reindeer. I colored them with Copics as well. I added some jute twine for my tag string and added some Stickles for a bit of sparkle.